Check the webcam often for the latest live images! THE LEGACY RIDE WELCOMES YOU! 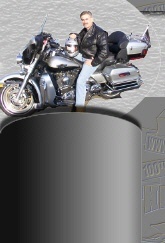 The Legacy Ride Motorcycle Rides Again! 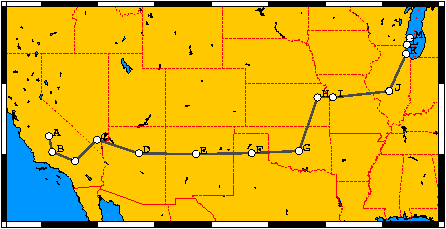 – The Legacy Ride Motorcycle is presently on its way back to California for a large ride to benefit MDA in the Central Valley on October 2, 2005. Thanks to bike shipper Daily Direct for making this possible. On the way, Jeffrey Davidson Schrager will participate in a special commemorative ride in Denver, Colorado honoring those Airline Crew Members who perished in the line of duty on September 11, 2001 aboard UAL flights 93 and 175 and American Airlines flights 11 and 77. "September 11, 2001 marked an event that would forever change our nation and the way in which we live our daily lives. This horrific event left a scar on this nation that can never be healed, we must never forget. Our nations pilots are now not only flying some of the most high tech equipment in the world but are also having to defend the integrity of their ship so it may never be used as a weapon of destruction against this great nation. Our In-flight crews through vigilance and awareness are the first line of defense so hopefully the pilots won’t have to be the last. Our ground crews are also a vital link in the safety of our everyday routine. The training that each and every one of these groups has gone through keeps our skies safe. The 9/11 ride is in remembrance of our brothers and sisters who have fallen and for the ones who make it happen everyday, keeping the traveling public and our nations skies safe." Bike to be Re-listed on Ebay! – The Legacy Ride Motorcycle was previously listed on Ebay and the auction was ended early due to the fact that it should've been listed through the GivingWorks side of Ebay and not through the main site. Even though we didn't know it at the time of the original listing, Ebay already had all the infrastructure in place to handle the sort of charity transaction we needed. We are now waiting on MDA to get registered with MissionFish (who handles the charity side of Ebay) and then we will re-list the bike. This improved listing will hopefully make for a more seemless and easier transaction for the winning bidder and preserve our ability to benefit MDA at the same time. Our apologies to all who had bid on the bike previously and wish you all good luck when this special motorcycle is re-offered. The opening bid will still be $1 and the reserve will be set at my cost. Anything over the reserve will become a donation on behalf of the winning bidder directly to MDA. Check back often for the lastest info for your chance to own this one-of-a-kind motorcycle that has a legacy and a history all its own. Willie G and Family Sign the Sidecar! – After the Founding Families Reunion that immediately followed the 100th Anniversary Celebration Opening Ceremonies at the Juneau Factory, Willie G., Nancy, Michael, Bill and Karen Davidson all added their signatures to the front of the sidecar. For the pictures click here. We’ve Out-Raised Our Pledgemeter! – I am excited to report that we have "out raised" our pledgemeter which had an upper limit of $25,000. To date, we have raised conservatively $28,266 and are still tallying donations. Thank you to everyone who has helped Make A Difference for MDA through our efforts. Help show your support for our efforts and please keep the donations coming!!!! The Legacy Ride Rode in The MDA Parade of Heroes!! – The Legacy Ride Motorcycle with William A. Davidson’s great grandson Jeffrey Davidson Schrager and Evy Piccinini aboard the bike and grand daughter Carol Schrager in the sidecar rode in the first 300 of the 10,000 bikes that participated on Saturday, August 30th! The Parade began at the Zoo and continued to the Summerfest Grounds. 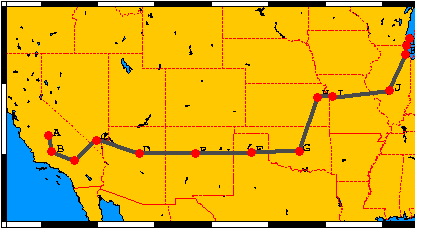 Live images were sent to the web and we were tracked by the onboard GPS. Photo Gallery – The Photo Gallery is complete with all our ride photos. We are in the process of adding captions to most of the photos. 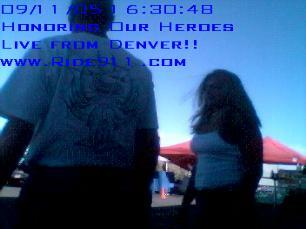 If you have some cool photos for us just e-mail them and we may add them to the gallery. Didn't get a pin, patch or t-shirt?? – We just have a few Legacy Ride pins and patches left and just got in a few more t-shirts. 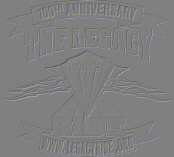 If you want your limited edition Legacy Ride pin, patch or t-shirt, they will be available through Visalia H-D at 559-733-4647, ask for Rocky. These collector's items are in limited supply and when they are gone they are gone so get yours while quantities last! Check out the Pins Here or the Patches Here. Lexi Sings! – Lexi, our MDA Ambassador child, has just released a CD from which she will be donating 100% of the proceeds to help research a cure for her disease. She sings various popular song that have a powerful impact that everyone should hear. They are only $10 are and you can email her here to get you own copy. Please buy one today! ThunderPress – For those of you who haven’t seen it, we were in the Thunderpress in 2003. Click here to read the July article. MDA / 100th Anniversary Pins – We still have MDA pins!! We have commemorative MDA / 100th Anniversary Pins which should be available at all the events we attend for a minimum donation of $5. The gentleman on the far right is my Great Grandfather William A. Davidson. They are gorgeous and you can get them at the events we attend or contact the Fresno MDA Office for yours today at 559-225-0200. Sponsors – We presently still seeking large corporate or individual anchor sponsors for our efforts. If you or your company is interested we have many ways to recognize your contributions so please contact Holly Yavanian at the Fresno MDA District office at fresnodistrict@mdausa.org or 225-0200. All proceeds benefit MDA and are tax deductible! Thanks for your help in Making A Difference for MDA with The Legacy Ride!